Home >> Trampoline Net Combo's >> 9X17 Competitor Trampoline W/Texas Cage Safe Encl. 9X17 Texas Competitor Trampoline W/Texas Cage Safety Enclosure. Jumping bed is 6'x14'. Actual frame deminsions are 8'4"x16'4". Buy the Combo and SAVE MONEY!! 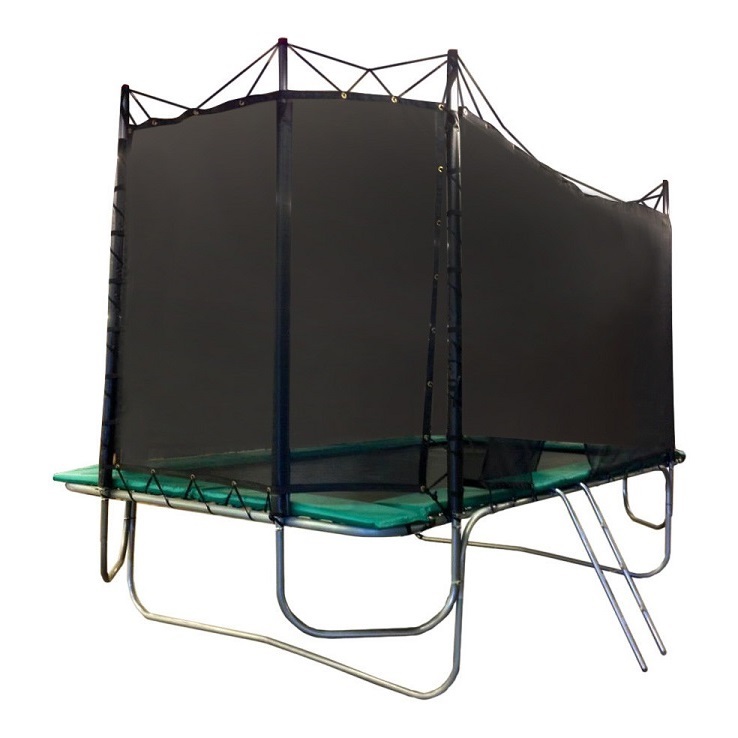 9X17 Texas Competitor Trampoline W/Texas Cage Safety Enclosure. Jumping bed is 6'x14'. Actual frame deminsions are 8'4"x16'4". Buy the Combo and SAVE MONEY!! This trampoline has a 400 lb weight limit. Pad and Pole colors may vary.